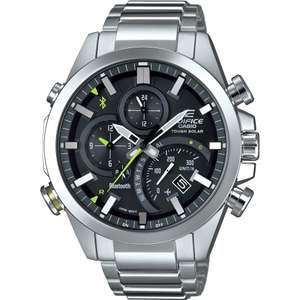 Edifice are what Casio class as they're premium range, Ive had this one for a few years and never had any issues with it and I've wore it daily for work aswell. I also have other Edifice watches, to me they are very well made, with a good thick bracelet and a good weight to them, as said above though this model is quite big but if your like me and prefer big watches you will like this. Not a bad looking watch. These are made by Fossil and not by Armani themselves so quality should be ok. Automatic too. I like it. 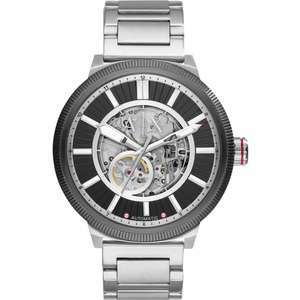 Armani Exchange Mens Dress Watch AX2406.. Looks nice.. Other watches also on offer on the site. I've bought 3 watches from them now and service has been spot on. They also have the blue version for £89 that has a steel bracelet. You can't use that code for flash deals it won't let you check out! Can you have it display a digital time too instead of the dates? I can confirm it does, you have to enable it (mine wasn't by default) and I've extended the timeout for the backlight to 3 seconds. 8) Works really well. I've never seen the steel ones that cheap, the resin versions yes, but not these. Well worth the £30 extra if you can stretch to it. It's getting cold votes because it's bad value. The idea that it's a good deal simply if it's not available cheaper elsewhere is flawed - there's better ways to spend £169 on a watch. My 2 cents anyway. I can imagine delboy wearing this. @BargainVVizzard as far as I can sew it only works on this watch. Add the item to basket and put the code, it will tell you. May only work on Radley. Does the code work on other models? Can't go wrong for this price in my opinion! I bought this watch a couple of years ago as it has a larger, clearer time display than any other G-Shock. Pretty cool feature for the password storage, haven't seen that before! The Blue G-2900F-2VER version was £23.18 at one point, though it was nearly a year ago https://www.hotukdeals.com/deals/casio-g-shock-mens-watch-g-2900f-200m-wr-e-data-function-2318-amazon-2961931 The G-2900F-2VER went up in price pretty quickly after I posted! This watch also as an e-DATA function "e-DATA MEMORY secret 40 Database for website and email addresses - so you can access important addresses,even on the move. This model can store up to 40 data sets. All data entered can be protected by a PIN code." The aer300 is £159 in the watch shop, similar looking, metal bezel and bits and bobs. Ordered, thanks so much for taking the time to list it. Heat. This watch is still there in the flash sale for £129 for the next 2 and a bit days. 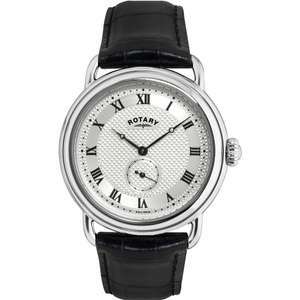 Ive had one of these for 4 years and can really vouch for them, its a really terrific watch I paid £250 at H Samuels. Heat added. 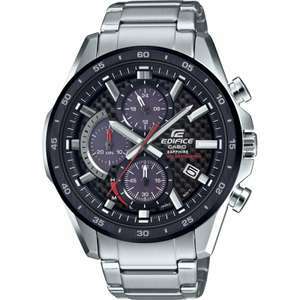 Casio Edifice are some of the nicest looking watches on the market imo. Aldo a name you can trust. "Sorry, the offer code you have entered is no longer available." Very nice watch ! Great price ! They like Gold in Dubai. Good deal. The gold puts me off. Anybody know if this comes in silver? Cited hot even though this is clearly the ‘Dubai’ version lol. Had a G-Shock solar radio controlled for 11 years and hasnt missed a second, even when stored on shaded shelf for weeks.However the bulk makes it unwearable with anything long sleeved. Shame they don't have the black and grey model. Heat added. Radio controlled too here have some heat. I have this watch in a different colour. Good price for a G-Steel. I used to have this watch and I must mention that the small inverse LCD displays are not easy to read. Wouldn't want to offend the 'Pepper Expert Program' so 'Fake' deal deleted.